With Polanski becoming a naturalised Frenchman, it was logical that he should start tackling specifically French subjects, and this small-scale return to the territory of Repulsion seemed a promising beginning. 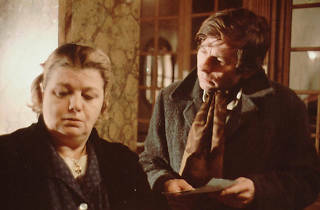 But it's precisely because Polanski and urban paranoia were made for each other that The Tenant is so disappointing. 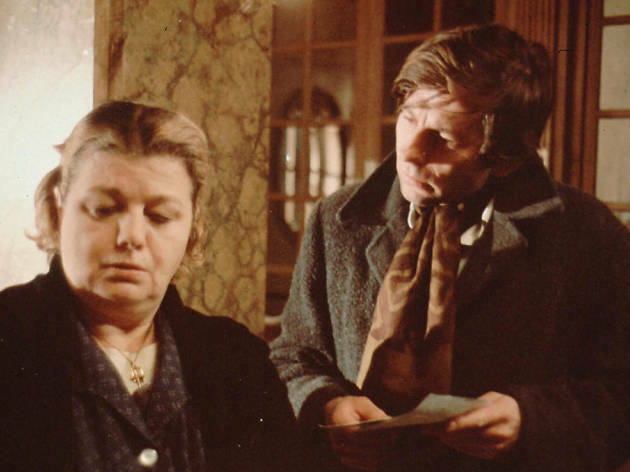 The tenant (Polanski himself) takes over the lease of a gloomy Parisian apartment from a suicide victim, and soon finds himself at the centre of a real or imagined conspiracy that pushes him into assuming the identity of his predecessor. The twist is that the last tenant was a girl, and our nervous, virginal hero's exploration of his latent bisexuality hits the one new note in an otherwise formulary catalogue of bizarre coincidences, inexplicable appearances, and hints of the supernatural. Everything except the dubbing of the French supporting cast is a model of craftsmanship, but as the plot escalates into increasingly arbitrary excesses of fantasy and heads for the predictable pay-off, the movie looks more and more like a potboiler.